This movie will be a failure if he doesn't say this at least once. Edited by Jetstream C-18, 16 July 2018 - 01:50 PM. I wonder how this and Bumblebee will fair, since they are out at the same time directly competing with each other. I'm of course biased, but I think Bumblebee will do better just becuase JL didn't do that good, and Aquaman still has his stigma, while the last TF movie underpreformed, from what I've seen it feels like people are interested in seeing where this new 'lighter' take will go; while I've not heard anything about Aquaman... outside of the trailers for TTGTTM. Pleeeeease be a success! 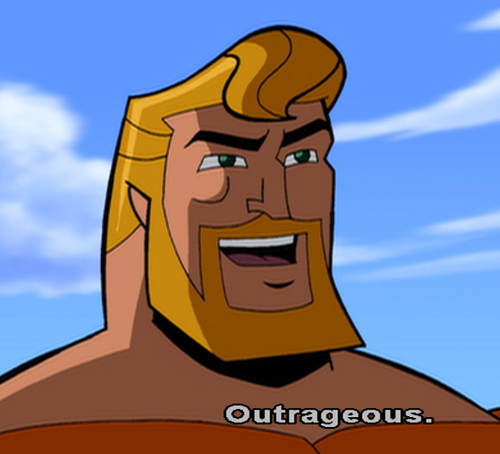 I want Aquaman to be a hit! He's my fave mainstream DC hero (cuz Brainiac 5 isn't as well known). C'moooon. Movie Aquaman isn't married yet, right? Nope. His future wife is in this. I don't foresee this succeeding. Especially not going head-to-head with the latest Transformers film. In the grand scheme of things, I find myself intrigued. The release date is kinda bad but a brief interview with the director from a while back gives me the feeling the movie won't be terrible**. He mentioned grounding the movie and using more practical effects, up to filming underwater instead of using CGI where possible. Already sounds like it has a better vision than the Snyder explosion fests. It also has the benefit of being able to see where Wonder Woman succeeded and other DC movies failed. Even the poster is designed more optimistic than many of the prior war-torn imagery. If anything, we may be in for a curious situation where it's DC movie try to correct course vs Transformers movie trying to correct course. **movie may still not be great. Mera, yeah, I know but I don't recall if they said they were married or not. So this movie is post Justice League? With a possible flashback to his origin? Perhaps like Wonder Woman's? Grounded story... So he might not deal with too much mythical elements if he's dealing with more human concerns. So probably versus Black Manta and environmental stuff. For a tragedy to make him sympathetic, I hope they don't make it the death of his son. Would explain why he left Atlantis though. Grieving too much. ...were those sharks with frickin' laser beams attached to their heads? Hopefully some of the underwater vfx still need to be touched up cuz alot of them looked like people just floating in space. Shazam I think is better of the trailers, but this looks like it might actually be good. This trailer makes the film look... fun? Actually fun? Maybe not groundbreaking or amazing, but entertaining nonetheless. I didn't think the DCCU could do that. Maybe a little TOO much color on Mera's hair, there. Looks like it won't be that part of the timeline (if that even happens in this continuity). I am hyped that they got Black Manta's suit looking right, though.